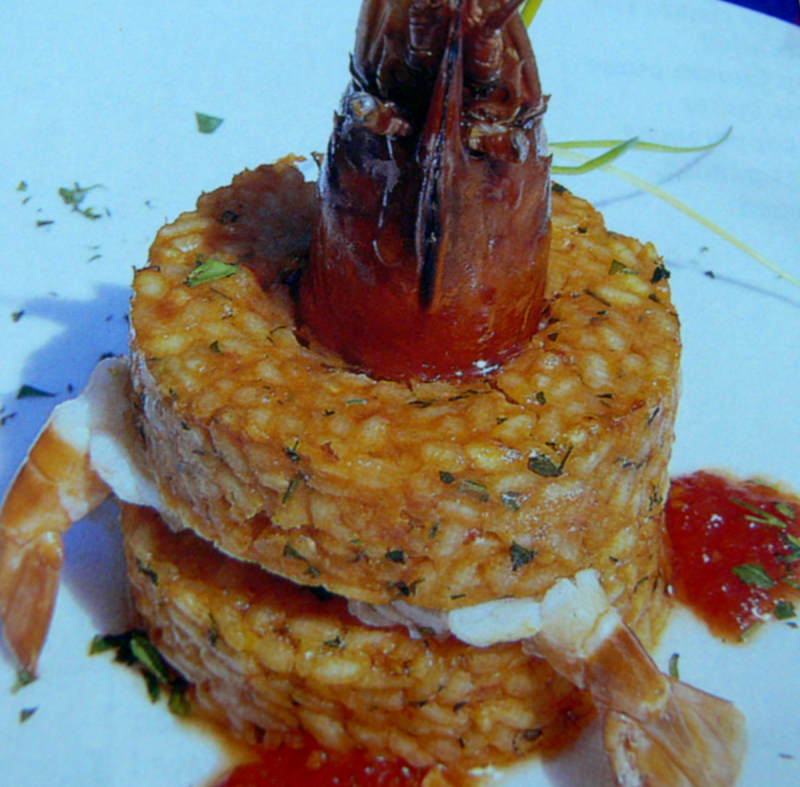 Tasty Italian Prawns Rice to try at home. Heat butter in a frying pan and saute shallots and chopped garlic till golden brown. Add prawns and crushed pepper corns and salt and saute for 2 mins. Add parboiled risotto rice and mix well. Mix in tomato puree and needed water to allow the rice to cook till done. Garnish with parsley and Serve hot with little tomato sauce and garlic bread.